The Grrr Can't Help It: Remember "Phyllis"? "PHYLLIS! It sure isn't yooooooooooou!" "The Mary Tyler Moore Show" was a trailblazer and is still highly regarded as one of the best television shows of all time. It spun off three series based on beloved "MTM" characters. "Rhoda" starred Valerie Harper as the wisecracking gal who returned to New York in search of romantic opportunity and a life she couldn't find living in the same building as Mary. "Lou Grant" cast Ed Asner in an hour-long newspaper drama, providing a different atmosphere from the whimsical newsroom he previously inhabited. Mary: "OK, girls, you can stop standing behind me and get your own shows!" And then there was "Phyllis". 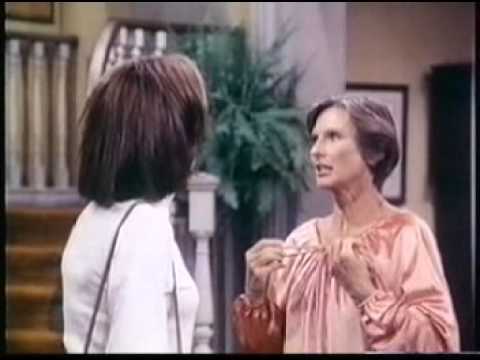 Oscar-winner and Emmy-winner Cloris Leachman, already a 20-year veteran of show business, was consistently hilarious as Mary's nosy neighbor, whose attempts to be liberal and forward-thinking, wise beyond her years, and a helpful pal backfired with hilarious results. 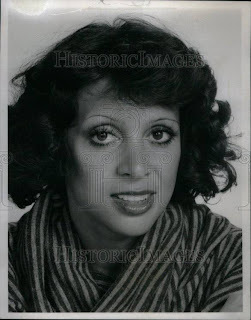 She was a comic natural for a series of her own, despite Phyllis Lindstrom being a somewhat polarizing character, not the break-out character that Rhoda became. 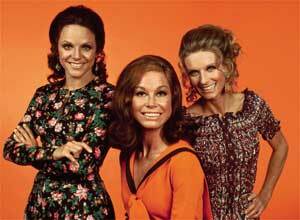 "MTM" lasted 7 seasons, "Rhoda" and "Lou Grant" 5 seasons each. "Phyllis" ended in shame after 2. Rarely re-run (it never reached enough episodes for syndication), one VHS release in the 90s paired the pilot and second episode in a promisingly titled "Volume 1", never to be followed with further installments in the projected series. The show was re-run, though never prominently scheduled, on Nick-at-Nite and TV Land before virtually disappearing for good in the late 90s. While "MTM" and "Rhoda" have appeared in near entirety on DVD, there are no plans for "Phyllis" to emerge on the digital format. What happened? Where did "Phyllis" go? And does it deserve this media shut-out? Through TV Vault, a television torrent site I would be lost without, I was able to acquire the entire first and second seasons of the ill-fated spin-off. While the first three episodes and season finale of season 1 are the original broadcast length, all other episodes of both seasons were recorded from the American Life Network during its recent (and again brief) re-running in 2010, abbreviated from 24 minutes to 22 minutes, often with clumsy cuts shifting one scene abruptly into the next. Even in this less than ideal presentation, it was a revelation to finally see the whole series in one big gulp. As "Phyllis" begins, our heroine is a widow, her never-seen husband Lars having died in Minneapolis and leaving her no assets. She whisks teenage daughter Bess (Lisa Gerritsen, underused throughout the series) to San Francisco to live with Lars' mother Audrey (Jane Rose), a dim-witted widow who has only recently remarried, to fatherly Judge Dexter (Henry Gibson). At Lars' wake, Phyllis meets Julie Erskine (Barbara Colby), the wisecracking owner of a photography studio who offers Phyllis a job. The catch: Julie used to date Lars, who even proposed to her before Phyllis. The two overcame this obstacle and she found herself right at home in the studio, where she also worked with wannabe debonaire photographer Leo Heatherton (Richard Schaal, previously seen on "MTM" and Valerie Harper's real-life husband). The pilot, in my opinion, remains the best episode of the entire series run. The writing is sharp, Leachman and company at the top of their game, and the laughs almost non-stop. It's funnier than both the "Rhoda" and "MTM" pilots, promising a brilliant series rife with comic gems. Episodes two and three continued down the path of excellence, developing a great workplace relationship between Phyllis, Julie, and Leo, and capitalizing on the unusual interplay between Phyllis and her in-laws. Then the unimaginable happened. Co-star Barbara Colby, so funny and charming as Julie, and her boyfriend were shot by two gang members one night as they walked to their car after teaching an acting class. The culprits were never identified or caught. 37 years later, the double homicide remains a col case. This shocking tragedy resulted in quick re-casting and an almost complete re-imagining of the character of Julie, re-introduced in an unusual flashback episode that had Phyllis recounting her first day at work through a letter to old friend Mary Richards (MTM appeared in what must have been a well-publicized guest bit). Newly cast Liz Torres, while bearing a similar gruff exterior and deep voice like Colby, did not bring the late actress' unique sense of humor to the character. Her Julie was more gruff and no-nonsense, making her more of a nemesis at times than a confidante to Phyllis. Luckily the show recovered from its devastating loss, but did so by focusing on other characters, giving 'Julie' short shrift as the first season progressed. Torres tries, and eventually develops Julie as a character all her own. It's just not the Julie we would have loved to see from the first handful of episodes. The break-out character, if there was one, would have to be Mother Dexter, the sharp-tongued elderly mother of Judge Dexter who made such a great impression in a one-off appearance that she became a regular on the show. 85-year-old actress Judith Lowry had the biggest role of her career, and provided some of the biggest laughs in the series' history. 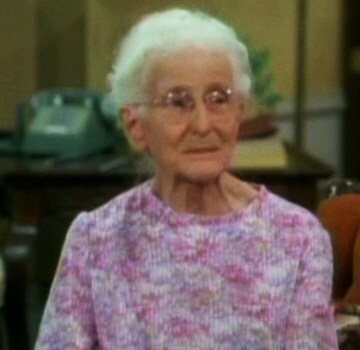 Though Lowry died during production of the second season, her character survived to get married to an elderly suitor (familiar character actor Burt Mustin) and appeared in several subsequent episodes before the series also expired. Of course half the fun in watching TV shows of the 1970s (at least for me) is spotting faces from genre films in guest bits. The second episode features Leigh McCloskey (Argento's Inferno) as a potential love interest for Bess, while one episode amusingly titled "Crazy Mama" (the same year as Leachman's film of the same name from Roger Corman's New World) features Vincent van Patten (Hell Night) and Vince Martorano (The Candy Snatchers) in the same scene. Famed dwarf actor Billy Barty plays the father of one of Bess' boyfriends in "Phyllis and the Little People", Clu Gulager (Return of the Living Dead) is a married lover of Phyllis' in "Phyllis in Love", Susan Lanier (The Hills Have Eyes) plays the ditzy younger wife of one of Phyllis' old flames, and vintage TV watchers will enjoy seeing Charlotte Rae pre-"Facts of Life" as a prospective friend of Phyllis' in "So Lonely I Could Cry", Loni Anderson pre-"WKRP" as a model in "The First Date", and a post-"Gilligan's Island" Natalie Schafer as a Dexter family friend in "Leo's Suicide". The key to the mystery of "Phyllis"s plummet into relative obscurity lays in that period between season 1 and season 2. The first season was, by all accounts, a success. 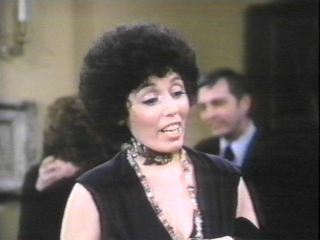 The show had a plum time slot between "Rhoda" and "All in the Family" (gosh what a great night of TV comedy! 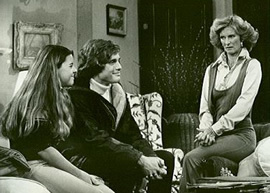 ), and as the 6th-highest-rated TV show of the series, was even more successful than its fellow MTM programs. Leachman won a Golden Globe for Best TV Actress in a Musical/Comedy Series and was nominated for an Emmy in the same category (losing to former co-star Mary Tyler Moore). The old adage, "If it ain't broke, don't fix it," was unfortunately ignored by CBS and the show's producers. Aiming at even higher ratings, Julie, Leo, and the photographer's studio were dropped from the show, thrusting Phyllis into a new job working with new characters. Phyllis found a job working in the office of the San Francisco Board of Supervisors, first under corrupt city supervisor Paul Jameson (guest star John Ritter) for one day, then his replacement Dan Valenti (Carmine Caridi, who had oddly already appeared in season 1 helping Phyllis with a garage sale). Also working with Phyllis were supervisor Leonard Marsh (John Lawlow), a goody two shoes politician who knew all the right moves to play with the voters, and his assistant Harriet Hastings (Garn Stephens), established as a frienemy who eventually came around to liking our heroine. Frankly speaking, the second season of "Phyllis" is not as good as the first, in both laughs and overall quality, but season 2 is still a lot of fun. 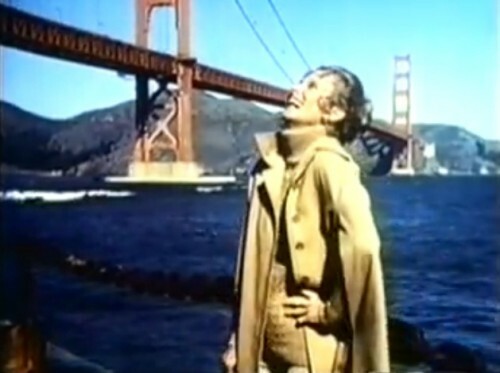 Still, it's not at all surprising that ratings took a nosedive, leading to the eventual cancellation of Phyllis' adventures in San Francisco. She made her final TV appearance on "MTM" during that show's final season. While Mary and Rhoda had their comeback special, Phyllis has never returned to television, not even in a cameo. "Rhoda" may have been more consistently funny, "Lou Grant" more novel, and "MTM" more revolutionary. But there's definitely room for consideration of "Phyllis" by today's sitcom audiences. With Cloris Leachman's renewed popularity as a horny grandmother-type on "Dancing with the Stars" and "Raising Hope", it's high time the complete series hits DVD. Up to the challenge, Shout! Factory? Excellent piece on the entertaining but often dismissed PHYLLIS! Yes, I remember the show very well, indeed. Thank you!